USADA announced today that Raul Diaz, of Miami, Fla., an athlete in the sport of cycling, has received a four-year sanction for an anti-doping rule violation. Diaz, 48, was subject to testing due to his membership in USA Cycling, which maintains the RaceClean Program that works to fight doping in the sport of cycling. The goal of the RaceClean Program is to increase testing and education to provide greater doping deterrence and is executed through member funding, donations, and local association partnerships. Diaz tested positive for dexamethasone and recombinant erythropoietin (EPO) as the result of an in-competition urine sample he provided on July 29, 2018, at Vuelta a Miami. Dexamethasone is a Specified Substance in the class of Glucocorticoids and EPO is a non-Specified Substance in the class of Peptide Hormones, Growth Factors and Related Substances. Dexamethasone is prohibited in-competition when administered by specific routes and EPO is prohibited at all times under the USADA Protocol for Olympic and Paralympic Movement Testing, the United States Olympic Committee National Anti-Doping Policies, and the International Cycling Union Anti-Doping Rules, all of which have adopted the World Anti-Doping Code and the WADA Prohibited List. When confronted with his positive test, Diaz admitted using dexamethasone via a non-permitted route and EPO. 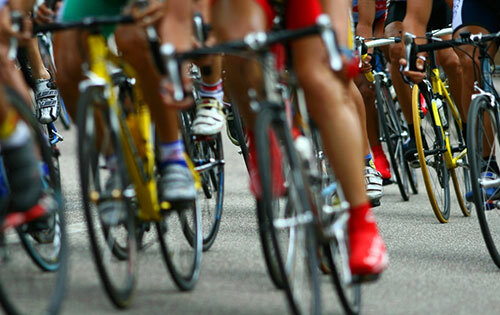 Both glucocorticoids and peptide Hormones, growth Factors and blood-boosting substances, such as EPO, have powerful performance-enhancing benefits and have been demonstrated to give athletes an unfair advantage over fellow competitors. Sensitive laboratory analyses are routinely performed to detect these substances in urine and blood samples. Diaz’s four-year period of ineligibility began on September 5, 2018, the date his provisional suspension was imposed. In addition, Diaz has been disqualified from competitive results obtained on and subsequent to July 15, 2018, the day he first admitted use of EPO, including forfeiture of any medals, points and prizes.